The Park Tool Super Patch (GP-2) is a kit with 6 pre-glued patches and some sand paper to repair punctured tubes. I got the kit for 3 euro, which puts the cost of a patch at 50 cents. What I like the most about this kit is that it is very small (3 cm) and light (~5 grams). In theory you only need a pump. Although it is possible to remove some tires without most people will also want to bring some tire levers. The patches and sandpaper are contained in a small plastic case so that it will not easily get damaged. The traditional way of patching a tire is done with patches that are vulcanized onto the tube. Vulcanizing fluid (glue) melts the rubber and chemically bonds it together creating an airtight seal. This process can be a bit messy. 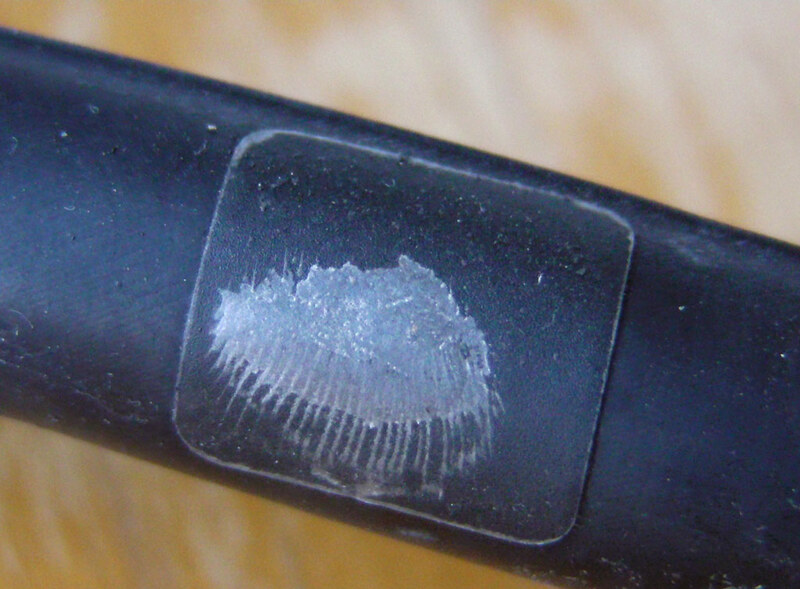 If you use too little glue, don't clean the tire properly, or allow moisture to get in between the patch will not hold. A failed patch will be nearly impossible to correct and usually means replacing the tube. With some practice you can get better at it, but doing this outside in the dark and rain with cold fingers adds a whole new dimension! After opening the glue it stays good for only a few months. This means that many people are riding around with expired glue that will not work as well as it should. 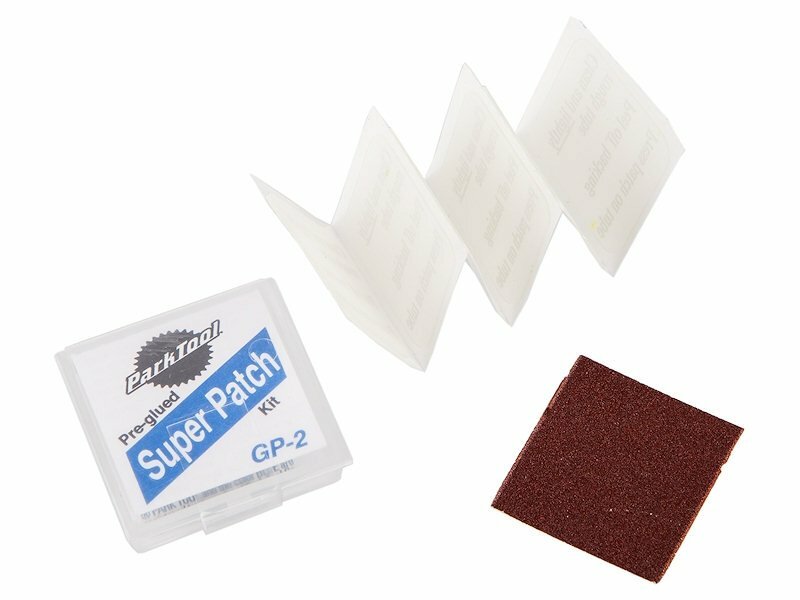 I had the Super Patch kit for a few months before I got a chance to use it. My girlfriend had a piece of glass lodged in the tire. At first I though the whole tire might have to be replaced but fortunately it had only made a small hole in the tube. The hole was not near the valve or any seams, so I figured it was a good way to test the Park Tool Super Patch. The included sandpaper is small, but has a nice fine grain and seemed to work well. For some reason I thought that the transparent patches would be round, but they are square with rounded edges. Applying them was as simple as putting a sticker on something. I rubbed it on with my thumbs, and then inflated the tube to see if it was holding, which it was. The tire held for a while, but after 2 weeks it was flat again. 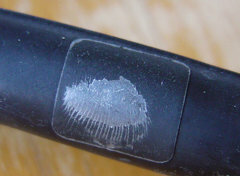 After inspecting the inner tube it became clear that air was leaking underneath the patch and had found a way to the edge. The case is about 3 centimeters in size. The case contains 6 patches on a folded sheet with instructions and a piece of sandpaper. Patch on the tube with air pocket under it after two weeks. 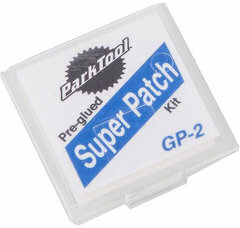 The park tool super patch can also be used on non-rubber materials, such as waterproof panniers. I expect you can use it as an emergency patch for dry bags, tents, jackets, sleeping mats and other items as well. I have mixed feelings about the Park Tool Super Patch. It is no replacement for regular patches and a spare tube. It is not meant to repair larger punctures but for me it did not work very well for a small puncture either. Applying a patch is cheap, easy and fast, however having to do it again 2 weeks later pretty much negates this. It is small and light weight that you can always take it along. It save you when your glue is dried out, and you can patch other things with it as well.